The Apollo Spiky Massage Set is used for training and massage. It is an ideal set which helps you exercise balance and coordination. It also helps strengthen your feet and legs with orthopedic training sessions with the small and round exercise equipment. The dots on the surface of the domes effectively massage areas of your body like your feet and neck. 1 x Apollo Spiky Balance Pod. 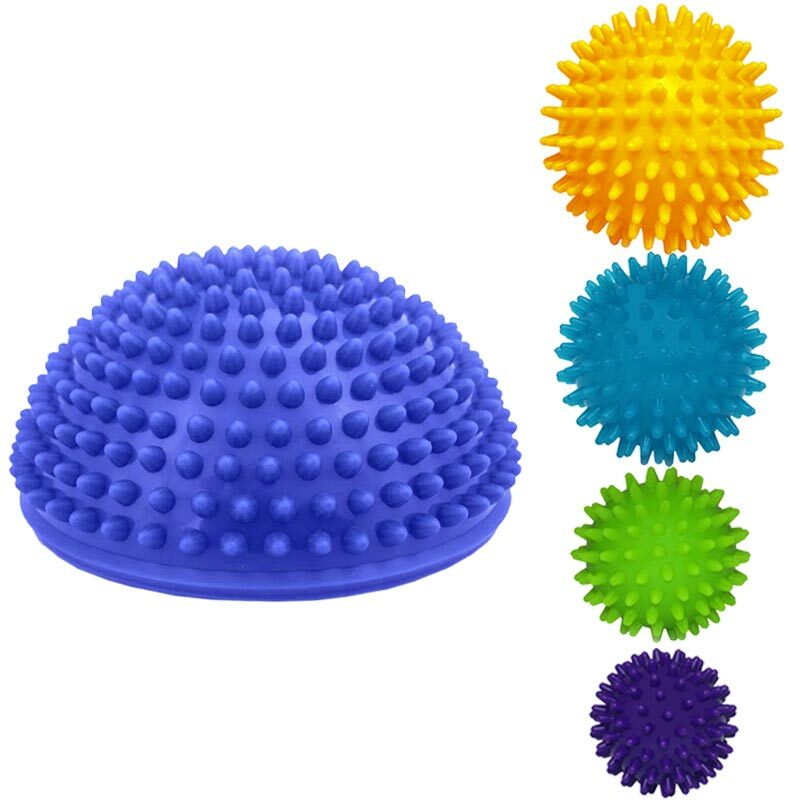 1 x Apollo Spiky Massage Ball 6cm. 1 x Apollo Spiky Massage Ball 7cm. 1 x Apollo Spiky Massage Ball 8cm. 1 x Apollo Spiky Massage Ball 9cm. Improve dynamic balance, body awareness and coordination. Professional grade materials and are recommended for both adults, and children. Helping to release toxins and improving circulation. Sold as a massage set.